Remo Emperor Clear drumheads give attack, projection, and durability, while still allowing drums to resonate. 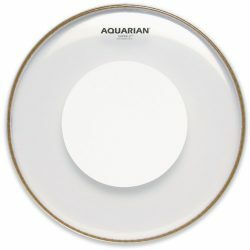 These heads are great for medium and higher volume drumming, and for those wanting a little more control without killing the sustain. The Remo Emperor Clear is made with two plies of clear 7mil film, with no added control or dampening which allows for good sustain. 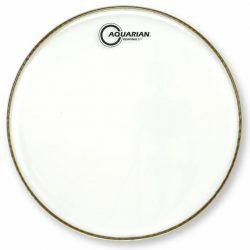 This is a well balanced drumhead that performs well in medium and high volume situations. 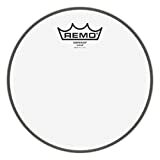 Sound-wise, the Clear Remo Emperor has a strong bright attack that allows your drums to be heard in loud environments. 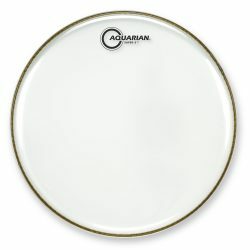 The initial brighter attack gives way to a medium-length balanced sustain, and a fairly open sound. 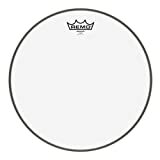 The two 7mil plies are thick enough to keep excessive overtones under control, without choking the drum. 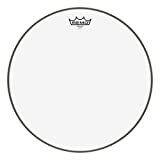 Hit the Remo Emperor Clear around the edge, and this drumhead will give more character and some colourful tones. The Clear Remo Emperor is at home in medium and loud volume playing conditions. 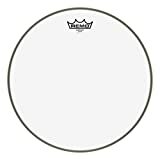 This is a durable drumhead that can handle some heavier hitting… The clear plies add attack and give a little extra brightness to the overall sound. 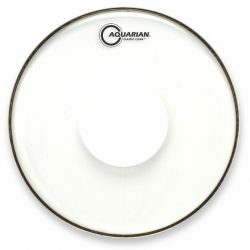 This allows the Clear version of the Emperor to cut through, even in higher volume situations. 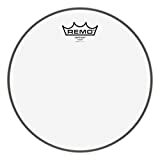 While the Remo Emperor Clear performs adequately at lower volumes, this drumhead is not responsive enough for very light playing. If you’re looking for a durable drumhead that is still fairly open, the Remo Emperor Clear is a great choice. 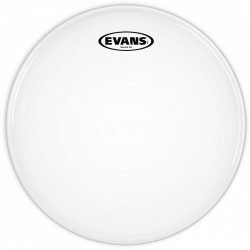 This head will reduce extreme overtones, while still allowing your drums to resonate relatively freely. 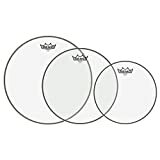 Tip: If you play with brushes, the clear surface of the Emperor Clear will not respond well. 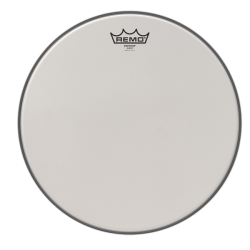 Take a look at the slightly warmer sounding Coated version of the Remo Emperor instead. 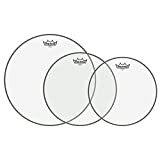 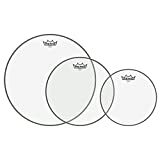 Remo PP-0970-BE Emperor Clear Tom Drumhead Pack - 12", 13" & 16"
Emperor Clear Drumhead - 8"
Remo PP-0980-BE Emperor Clear Tom Drumhead Pack - 10", 12" & 14"
Remo PP-1420-BE Emperor Clear Tom Drumhead Pack - 10", 12" & 16"